For more than a few years now I’ve seriously lusted after a CompuTrainer to hook up to my computer so I could race other people during the winter. Then I remembered that in the winter cycling is often the last thing I want to do, and I go back to the gym and eat egg whites. 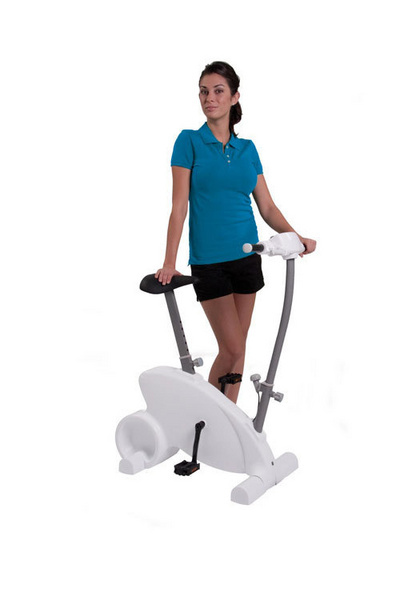 But this has me interested, it’s a bike trainer designed to connect to the Wii. We’re in favor of anything that gets Junior up and exercising, like this Fisher Price bike I’ve dubbed My First Madone. And around Bike Hugger HQ, we get the bike-lust started early anyhow, so this will fit in nicely.